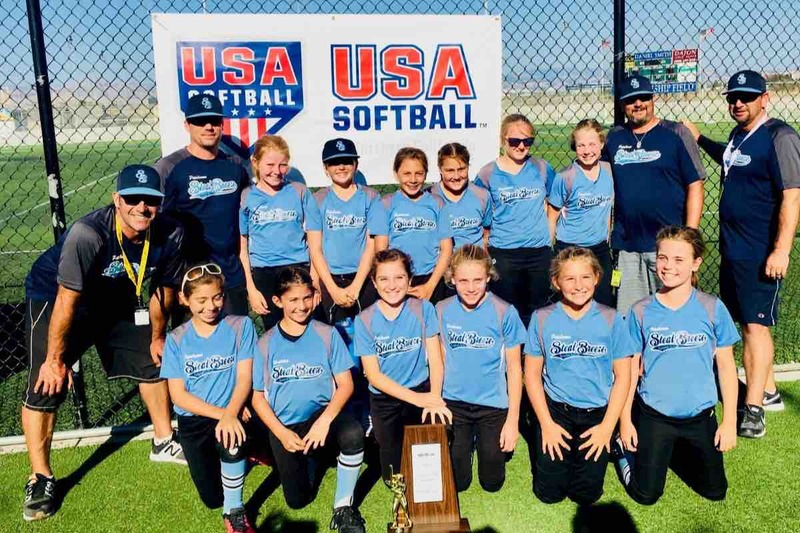 After a 3rd Place finish at the Nor Cal USA Fastpitch Softball Championship Tournament, this talented and amazing group of 10U girls have qualified for the Western Nationals tournament in Camarillo, CA on July 30th! This week-long tournament is a major time and financial commitment for the Steal Breeze families - AND WE CAN USE YOUR GENEROUS SUPPORT. Our goal of raising $15,000 will go a long way to helping cover lodging, meals and gas. The 10U girls are on an unbelievable run, with a 29-5-1 season record and having won 27 of their last 30 games. As many of you have witnessed for yourselves, this is a special group of girls and we are just hitting our stride! We are excited for this hard-earned opportunity and appreciate your continued support of our Steal Breeze girls fastpitch softball program! Thank you for your donation and for helping spread the word!